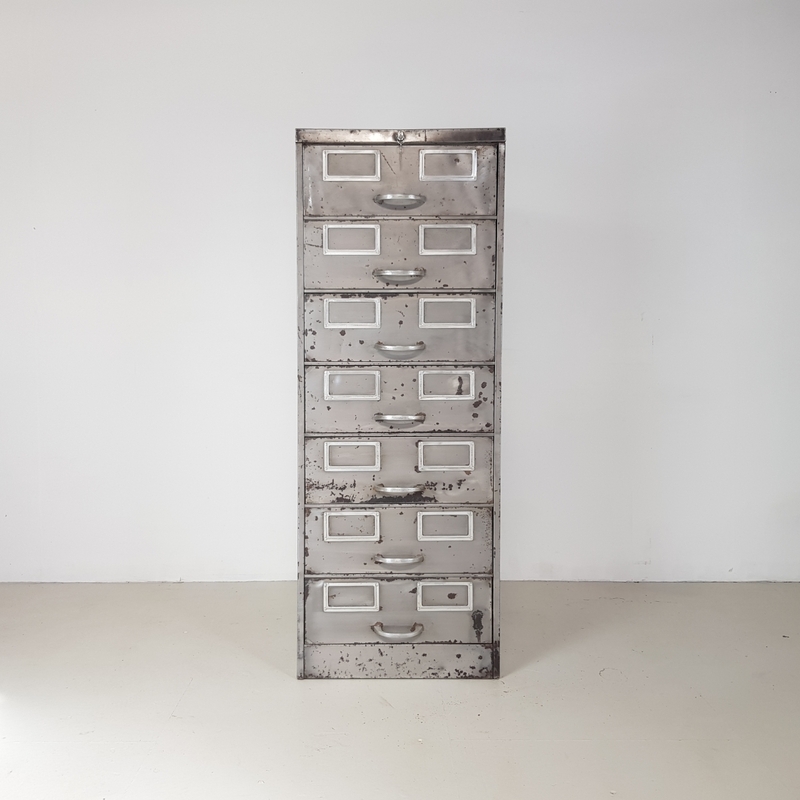 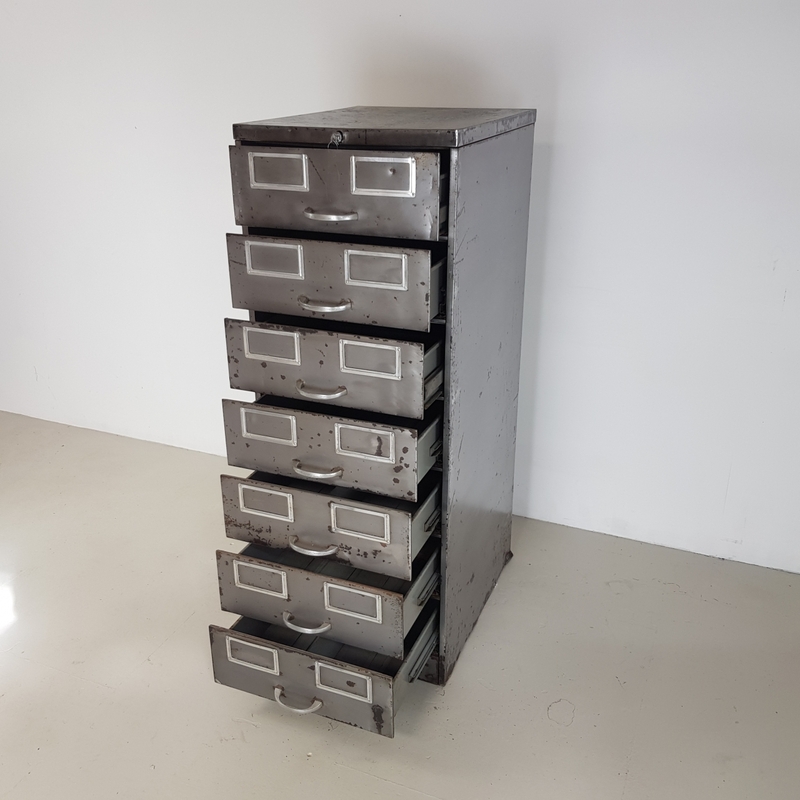 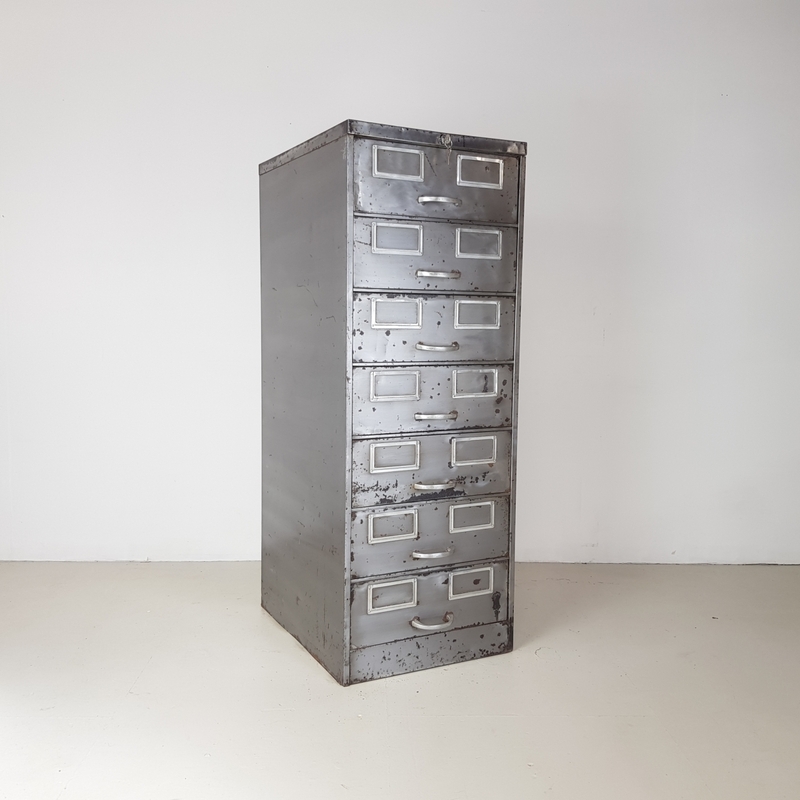 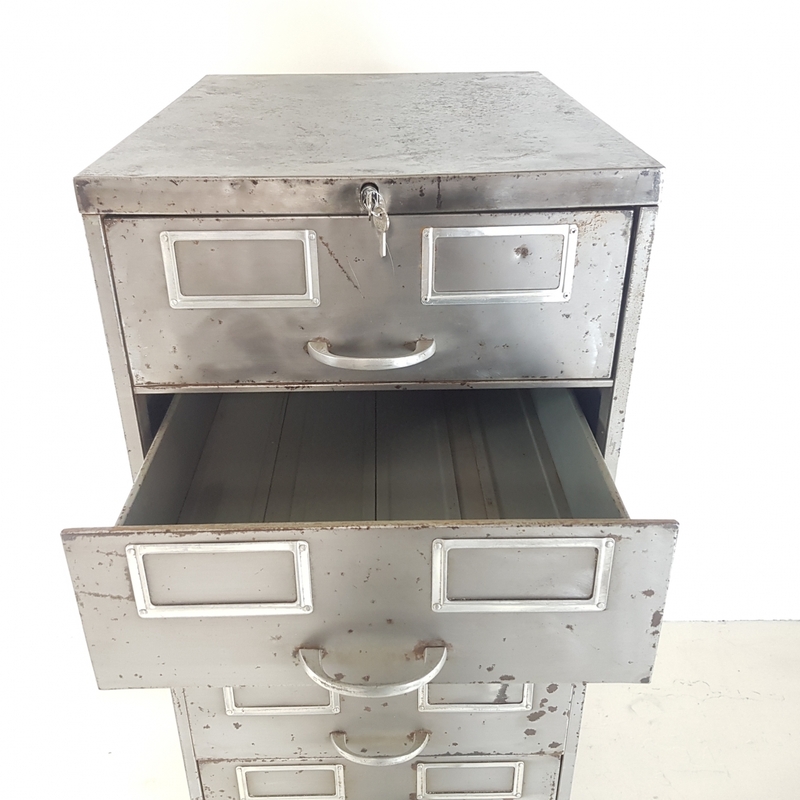 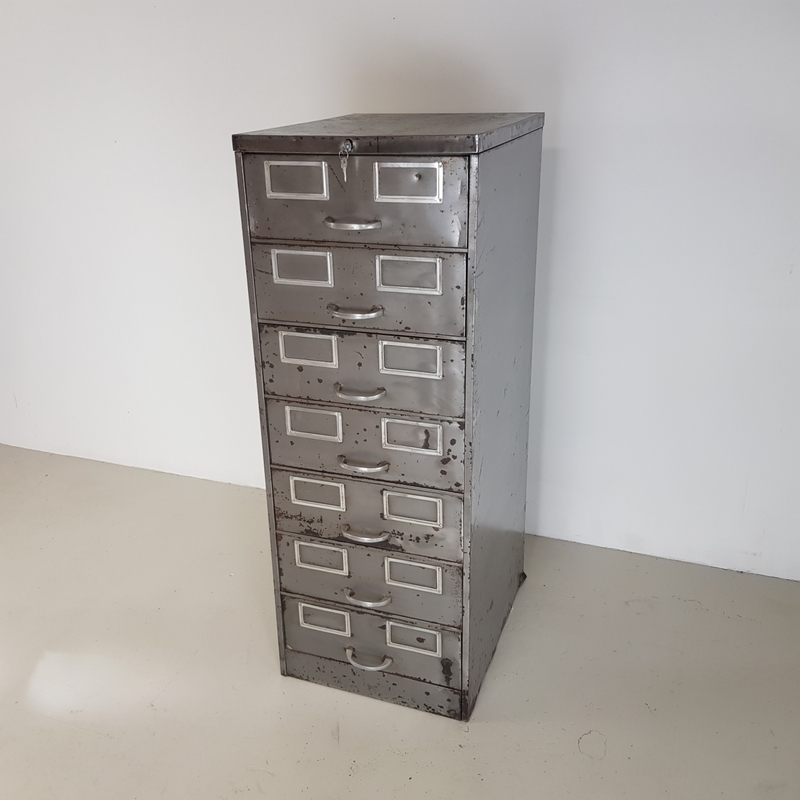 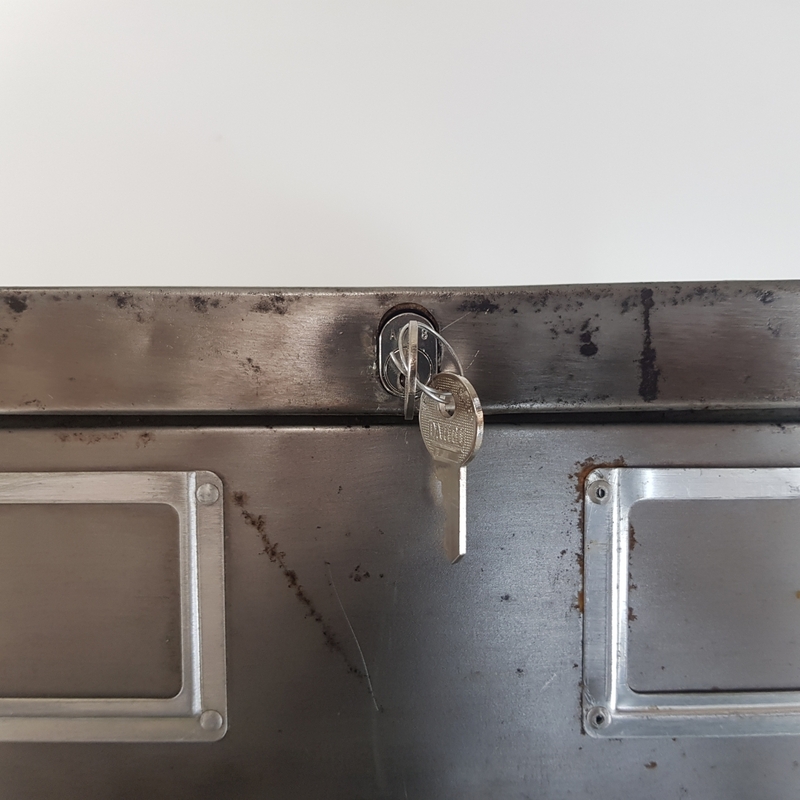 7 drawer vintage metal filing cabinet with metal handles and label inserts comes with working lock and key. 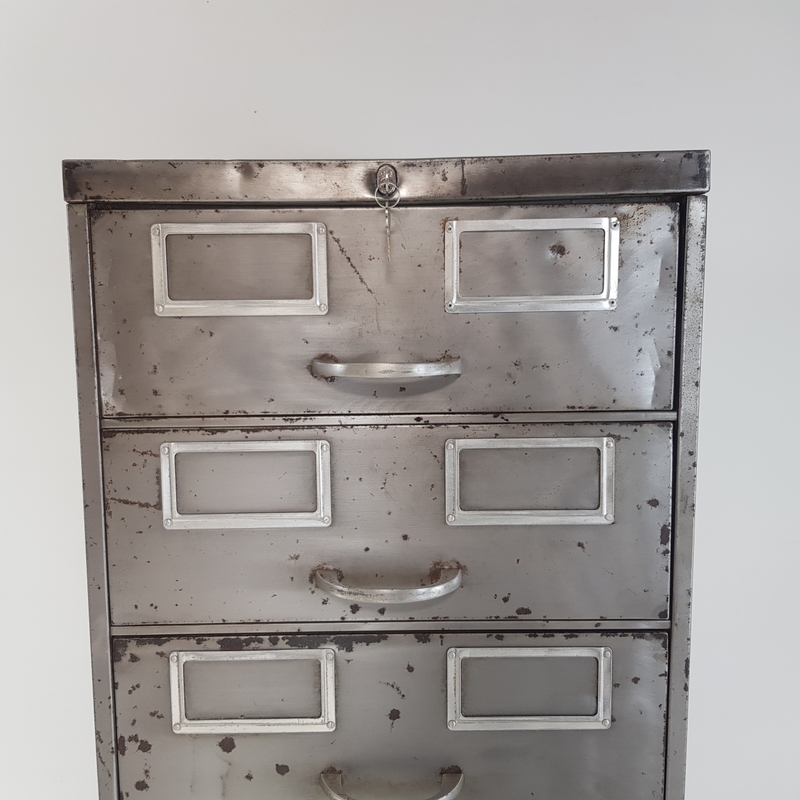 The interior is in its original finish. 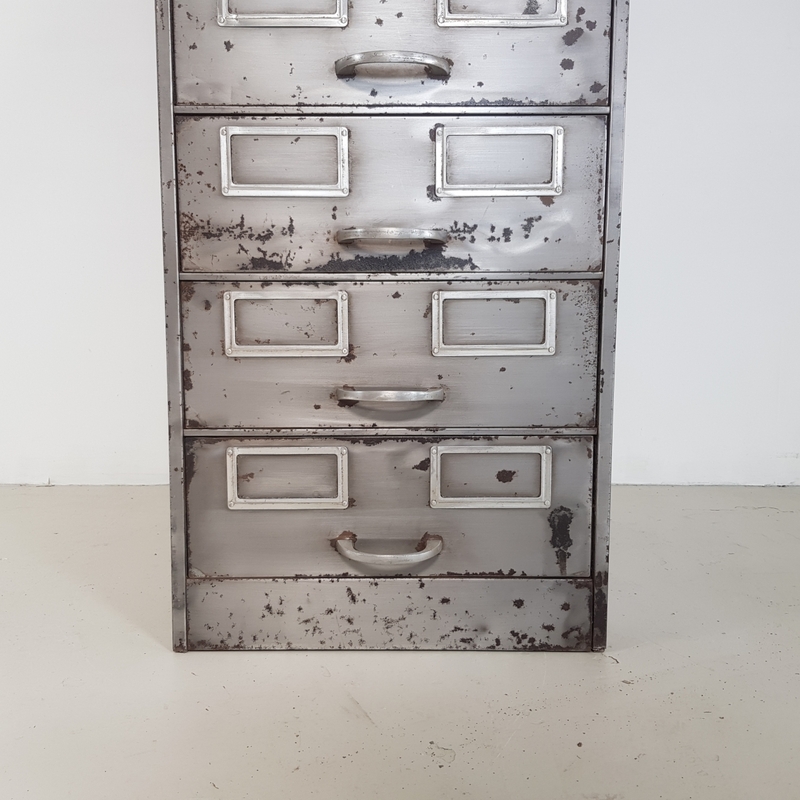 As it's a vintage piece, coming from a working environment, there are signs of wear and tear - a few scratches, scuffs, spots of surface rust and bumps, but nothing major and nothing which detracts. 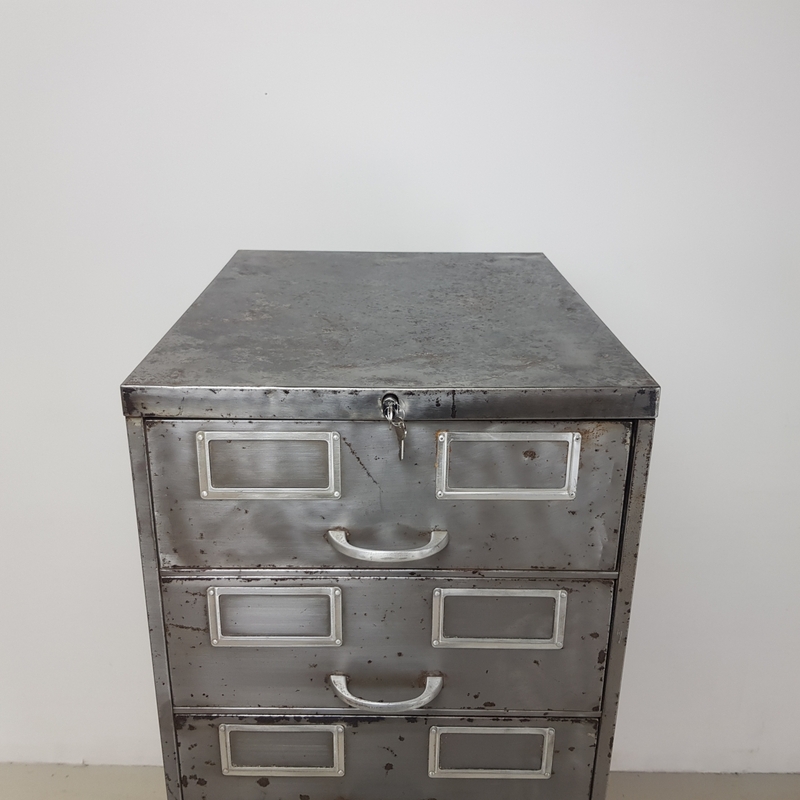 A nice example of the industrial look.